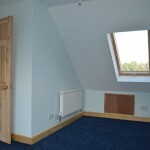 Choose Clarendon Carpentry for your loft conversion and it will be lovingly and expertly crafted with a real desire to give you the space you want. 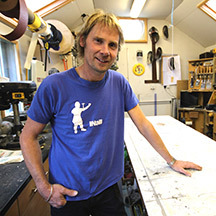 Owner John Nutting has been creating loft conversions since 1998. 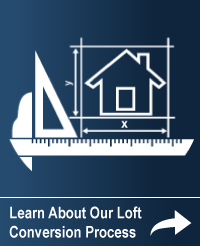 With carefully honed systems and techniques, he can achieve more or less anything you want with your loft. He’s been a carpenter for over 30 years and his passion has always been central to his work – it comes to life in the elegant staircases and bespoke units he creates. His expertise has other benefits too. Perhaps you’ll want to amend the design as you see the loft space developing – many people don’t know what they want until they see it. Where possible, you’ll find John to be flexible and adaptable to your needs – and highly approachable too. Arrange a meeting with him and you’ll quickly see his knowledge and passion for his craft, and understand why these customers commented positively on working with him. We work with a team of experts whom we know and trust for their knowledge and experience in their particular fields and for their commitment to high standards, giving you the reassurance you’re getting the best in every aspect. They all run their own businesses, and are justifiably proud of their reputations. 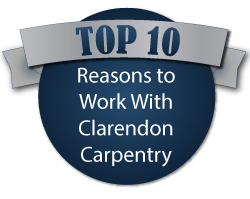 Part of the ethos of Clarendon Carpentry is to treat our team members, just like our customers, with respect and fairness. Here are the people you may well see during your Clarendon Carpentry loft conversion. Matt has been working for us since 2016 and has vast experience across many construction industry trades. 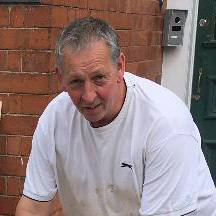 He is Leicester born and bred and began his career working on site as a labourer in his late teens and quickly progressed to develop skills in carpentry and joinery, plumbing, tiling, landscaping and block paving, working with a number of local construction firms. He spent four years going through a traditional apprenticeship in stone masonry working with a range of materials including granite, slate and York stone in the Bradgate Park area. Matt says “it’s more of a craft than a trade, and I had to spend weeks practising how to ‘dress’ the stone, before I was allowed to lay a single piece”. Matt’s work can still be seen in the area on many of the substantial properties around Bradgate and Swithland. Raised in the country Matt grew up in a hunting family and kept ferrets for rabbiting and even hawks for hunting. Matt enjoys all aspects on working on loft conversions; interaction with customers, working with a team of highly skilled and dedicated tradesman and the opportunity that gives for developing his skills even further. 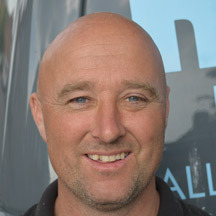 Rob has been a roofer for 25 years, he and his team have been the roofers of choice for Clarendon Carpentry since 2006. Rob has his own business, Keyham Roofing Ltd. You could see any or all of his crew on your loft conversion, they are all highly skilled and we trust them to deliver a great quality roof and service. It’s not all work and no play, Rob enjoys fishing and falconry. He owns a Harris Hawk which he flies in the Leicestershire countryside at the weekends with his son. 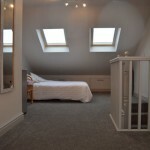 Andy will put everyone of his 35 years experience as an architectural designer into your loft conversion. Since starting his business AJS Architectural Services in 1988 he has designed a whole range of new buildings and conversions. 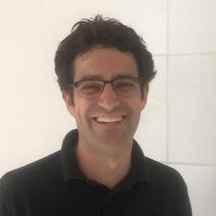 He has been advising and designing for Clarendon Carpentry since 2004, and has delighted our customers with his recommendations of how to make the most of their space. He can do this for you too. Andy’s creativity isn’t limited to fabulous loft conversions, he is also a talented musician; he writes music and plays bass in a band. 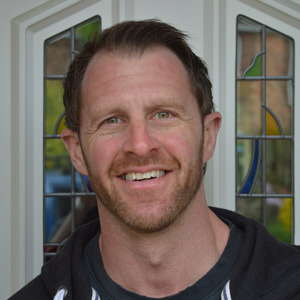 You’re in safe hands with Kev Rawson, he has over 19 years of electrical experience and will ensure the electrics in your loft conversion are safe, exactly what you need and conform to all the necessary standards. His qualifications include: Qualified City and Guilds Level 3 and full apprenticeship (time served). Part P qualified. 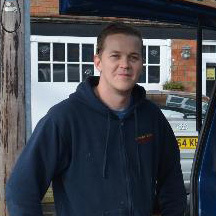 Kev started his own business, KR Electrical in 2005 and has been our trusted electrician since 2006. In his spare time he enjoys keeping fit and motorsport. 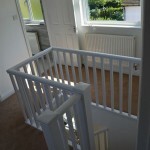 When asked about working with Clarendon Carpentry Kev said, “it’s hassle free working with John. There is a project plan in place, everyone is well organised and you know exactly what to expect, he is a true professional”. 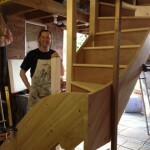 Chris has been making staircases for 25 years and set up his own business in 1996. Every set of staircases is completely bespoke, ensuring that you get the perfect fit, with no creaks! Chris says he loves the amazing feeling of turning planks of wood into a beautiful staircase, very satisfying. 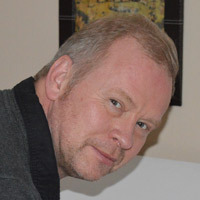 Another fan of outdoor sports, Chris is keen on shooting, rowing and fishing, fly and sea fishing. Carl originally trained in electronics in the RAF when he left school, but then retrained as a plumber. He has been working in that field for the last 10 years and now has his own company CS Services Ltd, based out in Scraptoft. He is a Gas Safe Registered Plumbing and Heating Engineer and has qualified in City and Guilds Advanced Craft. Carl is a football man, Man United, and is also a big fan of classic cars like John. For those in the know he has a Humber Supersnipe! 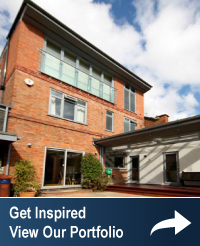 Contact us today to discuss how, with the minimum of disruption to your home, we can create a stylish loft conversion.